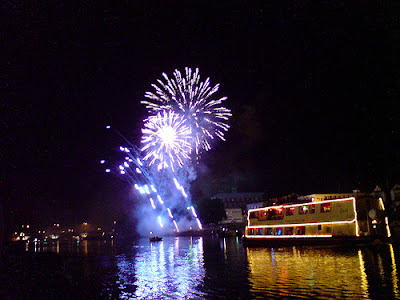 It may appear from some of my blogs that I'm employed part time by the City Council's tourism department. This is not true of course; there are just so many things to see in Nottingham, and I can't help but comment on them. Today was an example of this. It was the start of the new football season, and Nottingham Forest were playing at home to Barnsley where 22,000 people watched a 0-0 draw. To add balance for Notts County supporters, County won 3-0 at Carlisle. However, I didn't go to watch football; I went to the other side of the Trent Bridge to the Riverside Festival, which is held on the Victoria Embankment every year in August. Last year I made the mistake of going on the Saturday evening, and nearly died in the crush; this year I went for the 12 O'clock start, and it was so much better. The Festival is designed for the family, but aged singles like me can find some enjoyment there. 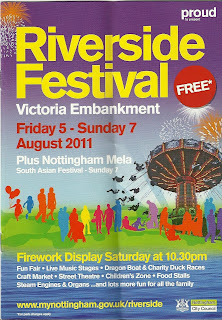 The promotional literature says that you will find, "Fun Fair, Four Live Music Stages, Dragon Boat & Charity Duck Races, Craft Market, Street Theatre, Children's Zone, Food Stalls, Steam Engines & Organs, and lots more". All of this covering about three quarters of a mile of the Embankment running alongside the beautiful River Trent. Entertainment for the masses has of course a long and glorious/inglorious (delete as appropriate) history. Roman Emperors would put on free extravaganzas for the people, believing that it was a good way to keep the people of Ancient Rome happy and content with the way the city was being governed. This would take their mind off the harsh realities of life. The Colosseum could hold over 50,000 people, and they were looked after by the authorities. If the summer temperature in Rome became too hot, a huge canopy was put over the top of the stadium to protect from the sun. And people get excited about sliding roofs over stadiums today. The 'entertainment' provided nearly always involved death and destruction, with the well known ones being feeding Christians to the lions; animals fighting each other, and gladiator battles. 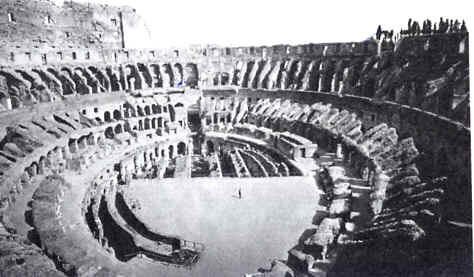 It was said that on the day the Colosseum opened, over 5,000 animals were killed. Gladiators died at the rate of 50% each show, and who can ever know how many people were thrown to the lions? The Circus Maximus was another equally popular venue where people could watch chariot races. Thankfully, during the last 1600 years, 'entertainment' has moved on a bit from death and destruction. 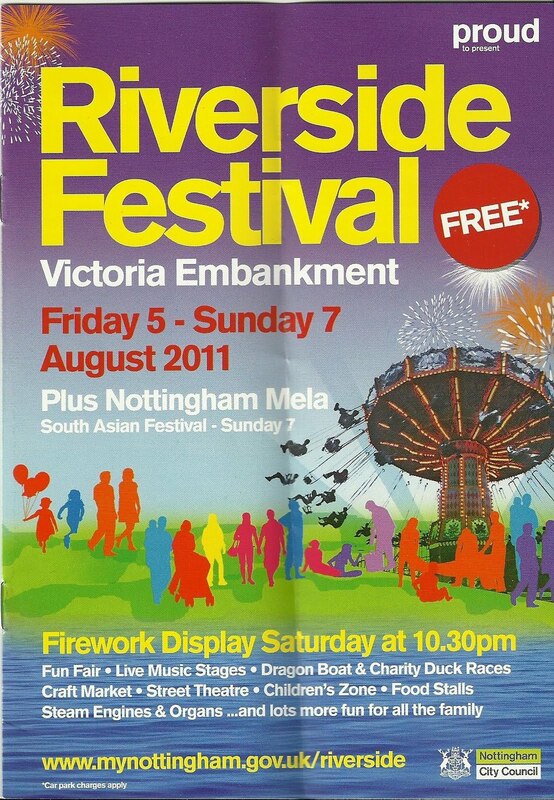 The 'fair' as entertainment has been with us for centuries, and the largest travelling fair is our very own Nottingham Goose Fair, which most historians think started just after 1284. There is also a travelling fair held in Kirkcaldy, Scotland and called The Links Market which dates back over 700 years. As far as I can tell, the Nottingham Goose Fair has only ever been cancelled due to the bubonic plaque in 1646, and during the two world wars of the 20th Century. 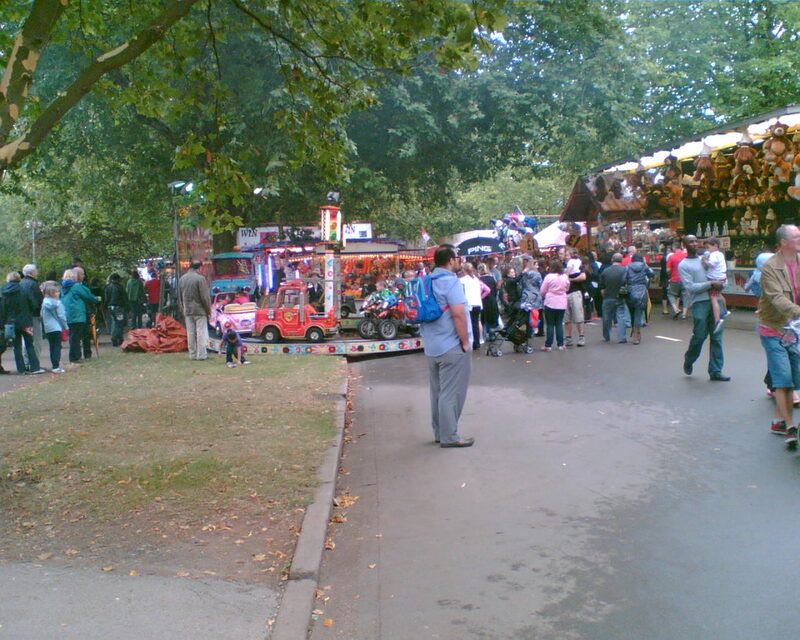 The Goose Fair started as a trade event, and was renowned for its high quality cheese, and it was very popular because of the arrival of thousands of geese which had been walked from Lincolnshire to Nottingham to be sold. 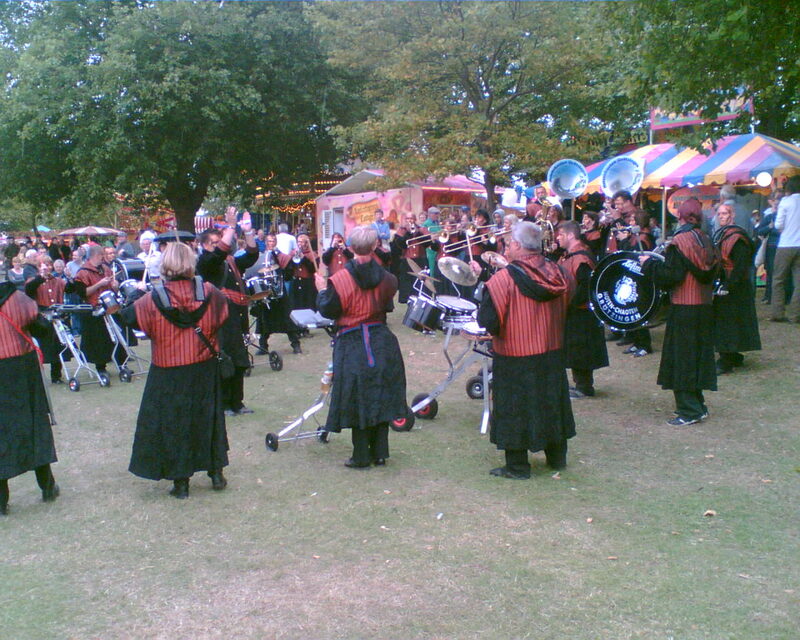 It's held at the Forest Recreation Ground, after having to move from the central Old Market Square in 1928 because of redevelopment. The fair as we know it today, with its many and varied rides did not become a possibility until the invention of the Steam Traction Engine during the 19th Century. 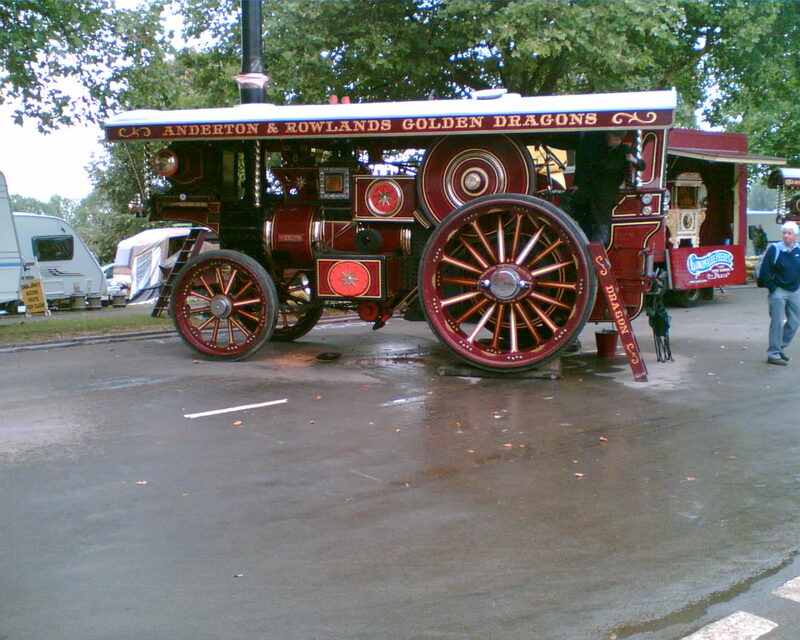 The picture above shows one of half a dozen traction engines on show at the Festival, and according to the organisation 'Steam-Up', they are known as Road Locomotives, and these particular ones are showmen's engines, which "apart from hauling rides etc from one venue to another, they were also used for generating the power for the rides and for lighting". 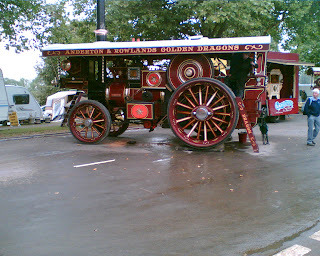 You can read more about the history of the traction engine here. Let no one say that you don't get value for money in my blog. 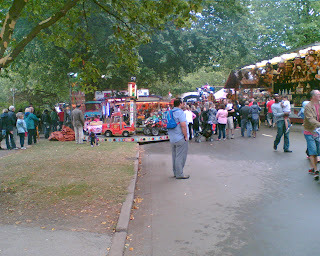 The Riverside Festival is a veritable cornucopia of entertainment, and while the rides leave me a bit cold - though I longed to have the courage to go on the traditional roundabout of galloping horses, but being on my own, I didn't (have the courage or go on it) - there was much to see and hear. I did enjoy listening to a group of musicians (I think they were from Germany) who moved around the site. They were a drum and brass group, who while they may not be the best musicians in the world, made up for it with their enthusiasm and hypnotic beat. I really enjoyed them. There were many interesting stalls to look at, and food outlets galore, offering food from around the world. I however, stuck to my usual Trent Bridge Kiosk for my burger and coffee, after all, he's there all the year round and deserves the trade. Entertainment of every sort still plays a vital role in all of our lives. Whether that is the theatre, concert hall, sports stadium, television or the fairground. We take advantage of entertainment for any number of reasons, and no one should feel ashamed if they use it to divert their thoughts from the toughness of their lives. After all, this has a long history. "The government provided free bread and free entertainment - a combination they believed would keep happy the many unemployed people in Rome". Over the course of the Riverside Festival, it is expected that 100,000 people will attend, and judging by what I saw this early afternoon, they will find something that will enable them to have a really great time.